Aloha, I’m Joe Sillaman full time Hawaii Life real estate agent and former United States Air Force Captain. The main focus of my job is to help veteran buyers and sellers. I'm also passionate about real estate investing. As a previous member of the Armed Forces, I understand the unique challenges of PCS and concerns military families experience. Therefore, I specialize in helping them with their relocation needs. When I’m not selling real estate I like to surf Oahu’s world class surfing breaks, hike some of Oahu’s amazing trails. I'm poised to assist your real estate goals and I’m ready to exceed your expectations. Whether it’s finding a dream home or building a wealth through real estate investment, I'll do my best to earn your business. "We have known Joe for a few years now, not only is he a wonderful friend but an excellent business man. When it was time for us to leave the island, we knew we could completely trust Joe with selling our home while we moved on to our next location. Not only was the process smooth and easy, he sold our home in a matter of 3 days! Joe made sure our home was beautifully highlighted with professional photography! He made sure we always knew what was going on with the escrow process and was always in contact with us. We highly recommend Joe for all your real estate needs :)"
Super helpful and easy to work with. Joe is really knowledgeable of the area/market and got our house sold in 3 days! Definitely recommend him to anyone looking to buy or sell. "Joe was not only a knowledgeable, effective and patient real estate agent but he served as our local ambassador to Oahu as we had just moved to the island. He showed us properties from Ewa to town allowing us to see the variety of homes on the island and make a proper housing decision for our lifestyle. He took the time to clearly explain the home buying process in depth so confusion was minimized. He then ushered us through this process in every way. I greatly appreciated his responsiveness to all our questions. If you want a real estate agent who helps provide you with the information necessary so you may make an informed decision on home ownership go with Joe. I highly recommend him." "Joe was amazing! Very honest and upfront and more than willing to help! Through out my entire home buying process Joe was there and answered any and all questions I had immediately. His updates on the status of the purchase of my home were great even working late and the early mornings to ensure my home purchase was great. I have to say Joe made the home buying experience as stress free as it can be! Would recommend him to everyone and anyone including my close friends and family!" 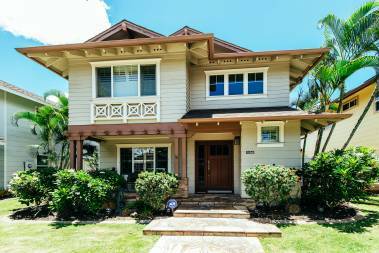 "I highly recommend Joe if you are in the market for a house in Oahu. As a first time buyer the process was daunting and I had about a 200 questions. Luckily a friend of ours had recommended Joe after they used his services for their house. He was able to make our buying experience virtually stress free and was available practically 24/7 for all of our questions or concerns. We were able to close on the house in under 45 days and he was able to arrange everything so that there was very little that I actually had to do on my end. He has also stayed in contact after the sale to ensure everything is going well and was even there on moving day to assist with some of our boxes! I never felt pressured to buy any of the properties and I feel that he is very honest in his opinions on the homes for sale. If you are going to spend a $600,000+ on a home here make sure you find a realtor like Joe that has your best interest in mind and not just focused on closing that next sale." "Joe was an amazing realtor. He found us exactly what we were looking for and expeditiously. Joe is extremely knowledgeable of the local markets and housing areas. He showed us options we would not have found on our own. Joe was always willing to answer questions and we felt he was always." "Joe helped us tremendously with our search for a house. We asked alot of him and he went out of his way to get us the house we wanted. He has a challenging job in such a difficult market such as Hawaii. Overall, he did outstanding from house searching to closing the deal." Request a regional and property market report. Search the Multipule Listing Service. 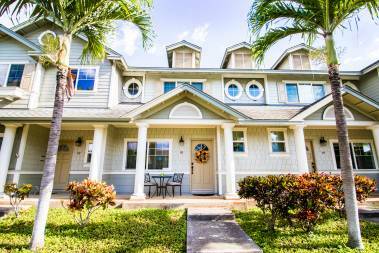 Creating your Hawaii Life home is just a click away! 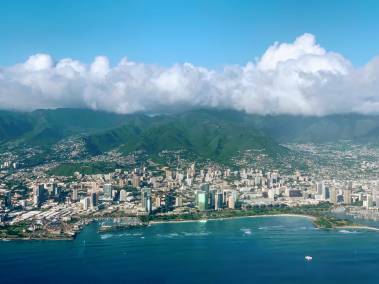 Hawaii Military Life – 2019 Oahu BAH and VA Loan Limit Increased! Hawaii Military Life – Should I Buy or Rent a Home in Hawaii?